With Halloween comes the first class party of the school year....so if you are the class parent, then you need to start thinking about what will you do. Well, no worries, I am bringing you decor, games, and snacks that you can use for your class parties. Today's post will feature games the kids can play in class. Tomorrow will be fun and healthy snacks; Friday will be decor! This is an all time favorite...how many candy corns are in the jar? Shake it, roll it around, and hope you guess right! This is super easy.........find a clear jar and fill it with candy corn. 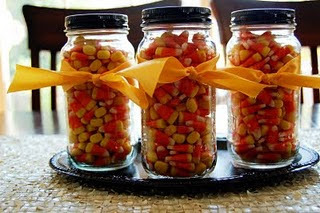 Empty the jar out into a bowl and count the candy corn., refill the jar with the counted candy corn. The child who guesses the closest number wins the jar and get to take it home. A plastic jar is best for little hands! I found this game a little while ago while surfing the net and can't remember where but I thought it would be a fun game. This is a relay race game that gets the kids moving! Make sure to check with your child's teacher to see if you can play this has you will need a little running room. Unfold and lay out a single sheet of tissue on a table. 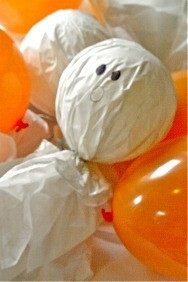 Place the balloon in the center of the tissue wrapping paper.Create balloon ghosts. You'll need small balloons (like water balloons) and white tissue wrapping paper or large white paper napkins. Blow up an entire bag of balloons. Gather the tissue around the balloon and tie a ribbon around the base of the balloon to create a head and body of a ghost. Line up two chairs so that the children can burst their ghosts. Place all the ghosts you created in a large box or tub about 30 feet from where the kids' chairs are. Then create a "dead ghost" box for each team. You can place them where you like, but make sure that the distance between this box and where the "live ghost" box is the same for each team. Divide the players into two teams. Each team lines up behind the respective chairs. Then you start the relay race. The first player runs to grab a ghost from the box. He or she must run back to the chair and burst the ghost by sitting on it. After the player has burst the ghost, the next player takes the ghost and puts it in the team's box, then runs to get his or her ghost. He or she brings it back to the chair and bursts it. This continues until all of the ghosts are burst. The team who bursts the most ghosts wins the race! What kids doesn't like donuts?! This is one fun game and I'm giving you two options depending on your class set up. Tie a very long string around a donut and fasten the other end of the string to a very sturdy ceiling hook or fixture. The donut needs to be just above the contestant's head. 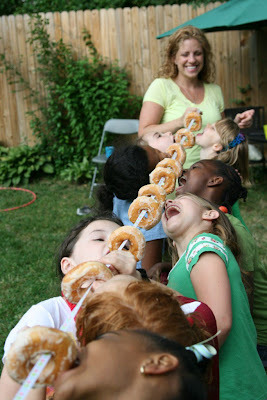 The object is for the player to eat the donut using his or her teeth only (no hands). The player must jump for the donut. 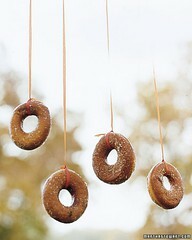 Use one long piece of string and string 10-12 donuts through it. Have two adults hold each end of the string and hold it above the kids head. Space out the donuts and have the kids try eating the donuts with their hands behind their backs and using just their mouths. In both options, the winner is the one who finishes first and the prize is the eaten donut!! Here's a game for the that the pre-school set can also enjoy! Much like pin the tail on the donkey, except this time it's a nose and a pumpkin! 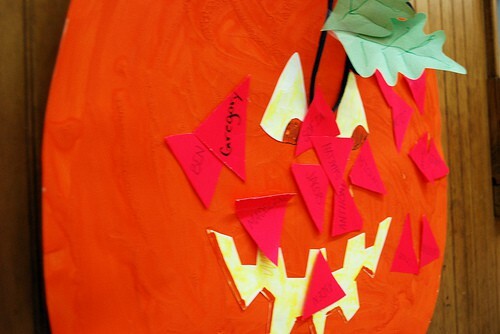 Choose a very large pumpkin; you can make it out of cardstock or just buy one. Make sure the eyes nose and mouth are large and clear. Give each player a triangle shaped nose with their names written on it. Blind-fold each kid, spin them around , point them towards the pumpkin and have them "pin" the nose. The child who gets closest to the nose wins. I'd love to know what games you played and how your party went, so please leave a comment! This is such a cute post and those kids really seem like they had a lot of fun! Mummy wrap and pumpkin relay are some of the mostly-played games in most Halloween party. 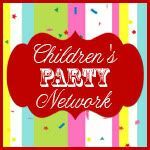 I created a list of fun Halloween party games to play as well that you may find some ideas from. What fun game for everyone to do during the Halloween. And in any kind of party I think. :) Except the pumpkin and ghost will have to be altered in something that would fit the occasion. Thanks for sharing! This is great! I wonder does the donut drop before they are done eating it? What is the best kind of donut for this? The soft yeasty ones from the donut shop, the cake donuts from the donut shop, or the packaged chocoloate/powdered donuts from the grocery store? does firmness have an effect? Color, lots of color......On The Chandeliers! 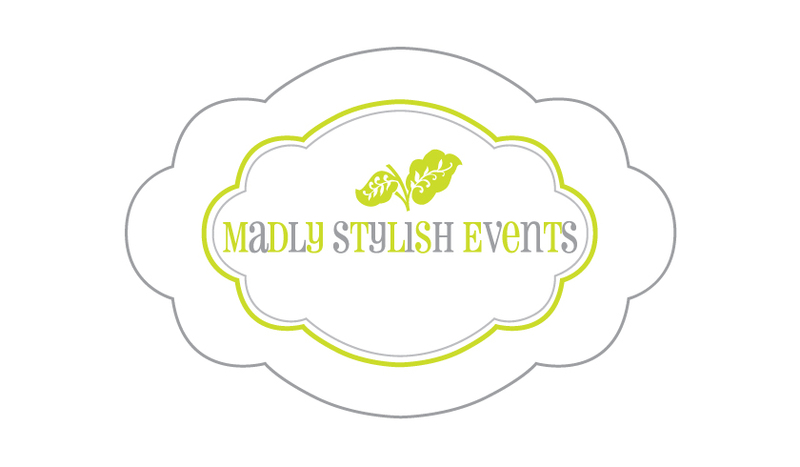 Madly Stylish Events,LLC. Simple theme. Theme images by chuwy. Powered by Blogger.